Dr. Paul Thind is the man behind Algoam, an innovative Zurich-based investment and trading solutions provider with a focus on algorithmic trading strategies and custom indices. Having worked at high levels in the finance industry for several decades, he is now in a position to leverage this experience while having the freedom to innovate that independence brings. We caught up with him to discuss his new venture, Fintech, and emerging and disruptive trends in the financial world such as algorithm trading, social media, and mobile. Can you tell us about yourself and about your background? I have worked in the Financial Markets since 1985. From the outset I felt I was able to apply my scientific background to understanding financial methodologies. In the 1980’s the derivatives markets were just beginning and I started to first sell, then trade and manage large positions consisting of: asset swaps, interest rate and currency swaps, credit long/short and credit /rate arbitrage, interest rate futures, commodity futures, global stock markets, convertible bonds, equity warrants and FX forwards. In 1995 I set up an India Fund and managed that for several years. I have been in new product development since 2002 and have created many investable indices at ABN AMRO Bank, HSBC and RBS which gathered several billion euros in assets. We were at the forefront of the custom index business from 2004 to 2007 when ABN AMRO was acquired by RBS. Many ETNs on these indices are listed on several stock exchanges in Europe. I was the first person to create thematic indices capturing investment opportunities in water, climate change, renewable energy, nano technology, turn of the month and pre-holiday anomalies as well as other themes such as fundamental indices and Sharia indices for clients in the Middle East. Since 2008 I have dedicated a lot of time in developing robust signals for ‘market-timing’ across all asset classes using modified trend analysis, volatility signals, economic indicators, sustainable dividends, CDS and so on. I have a Ph.D in synthetic chemistry from the University of East Anglia, Norwich. Previously you headed senior positions in big financial organisations, can you tell us about it? 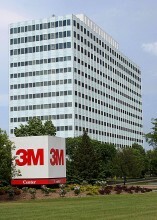 I started my career at 3M in St Paul, Minnesota in developing new and enhanced adhesives before moving into research related to high temperature materials and surface science. In 1985 I returned to the UK and went into banking and was soon managing large trading books consisting of rates, credit, FX and so on. 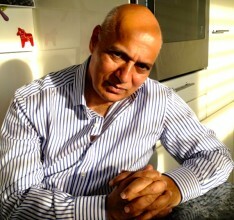 I was a good trader and was always looking at causes and effects and believe that my work at 3M in product development and subsequently managing risk and running a diverse portfolio of relatively short term positions and extracting value was an ideal background to start developing financial products. First learn what is known and then originate. The challenge is always to develop the best products in the market and make continuous improvements in the context of change and better understanding. This cannot be done without a deep and sound understanding of financial markets and derivatives and of course questioning prevailing wisdom. I have always embraced change and moved jobs when there was a chance to do new things and learn. I have worked with American, German, Japanese, Swiss, Dutch, Austrian, and British institutions in London, Zurich, Vienna and Hong Kong. What is the difference now in managing a new company? The challenges of running your own company are many but predominantly capital constraints whilst developing new products and trying to put in place a strong corporate infrastructure. Convincing leading portfolio managers or senior people to look at new ways of managing risks is often an uphill battle due to sometimes vested interests or managers not wanting to expose shortfalls in their existing products. The freedom to work across geographical boundaries and the ability to act quickly and independently are a big plus. Ultimately success is its own reward. What can you tell us about Algoam? Algoam’s goal is to challenge current conceptions about the functioning of financial markets and how this leads to misconceived asset allocation. We promote the idea that risk management through marketing timing, or risk reduction via overlays is far superior compared to active management or remaining invested in the markets at all times. Algoam promotes 100% rules-based investment processes. Our aim is to create the best investment solutions across all asset classes as well as the best asset allocation strategies. Algoam also works with active managers from time to time where there is a quantitative and disciplined approach to investing. We help them to convert their approach into methods that are sustainable, even in the most challenging market conditions. Algoam products, aim to beat all market benchmarks and active managers most of the time and with lower risk. Algoam is an open platform where we actively seek to work with the best and the brightest. Our approach is collaborative rather than competitive. What differentiates your company from others? We differ because our primary focus is not on maximising our personal financial returns but to align our interest completely with the client. Our partners and clients make money when Algoam is able to provide a product that solves their problem. Our research/management costs are kept very low. We do not believe in the 2/20 model. We believe that upfront and performance fees need to be reasonable. Algoam is not bound to a client using Algoam’s infrastructure when the client’s own infrastructure could be used equally well. This approach can also eliminate perceived credit risks of potential Issuers. Given the present challenges, how will algorithm disrupt trading and the finance industry? It is commonly accepted that many large banks and institutions remain short of capital. Algoam’s products require fewer capital reserves because they are designed to be less risky. Also, Algoam’s products can be delivered in a way that mitigates or reduces the requirement to set aside capital for counterparty risks. We hope that by embedding the types of risk management processes into Algoam solutions that banks commonly use to provide capital protection an increasing number of clients can dispense with buying expensive capital protection and thereby reduce costs. 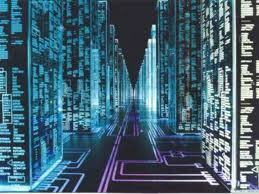 Last, but not least using technology we can increasingly automate trading of these strategies. That help to reduce errors, reduce risks and significantly reduce costs. How comparable are Algoam offerings to other players? We believe that the next generation of ETFs and financial solutions will embrace more and more the types of investment strategies we are developing at Algoam. We don’t know of many players who are offering what we have. We expect that our cost structure will always be lower. What is your take on social and mobile trading and finance? On the positive side being able to bring the best solutions to the end user is always a good thing. On the negative side, there are always cowboys in every market place and many users may suffer losses because they haven’t understood the risks or they have been miss-sold. Products offered to the public through social and mobile should be much better regulated and require the user to be tested on their understanding of the product. Education of the general public remains a big challenge for the preservation and enhancement of wealth. Financial markets are complex. We know that most retail investors and day traders lose when they trade. The emergence of new platforms that both educate and permit retail investors to access the best products may help to close this knowledge gap. How do you see the future of the algorithm trading industry? I think that provided the playing field is made level, particularly for HFT, the future should be very bright. There will be many new developments from machine learning and better understanding of the evolution and complexity of the global market place. The human mind is simply not equipped to deal with it and thus the transition from active to passive (rules based active) will continue. The conventional wisdom that one should invest for the long term is debunked. Risks have to be understood, measured and managed continuously in order to have a happy retirement. In general, what are the most prevalent challenges for investment, finance, algorithmic trading and fintech industry? I think the challenges are always how to overcome entrenched interests. Large managed funds may not openly embrace Algoam products simply because “active management” is in their fee interests and passive management would result in a need for many fewer portfolio managers. 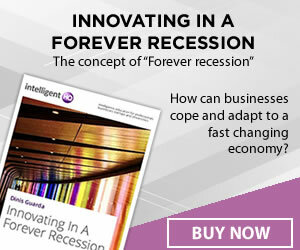 I think that financial data access at low cost is a hindrance that will have to be overcome. Information asymmetry which results from lack of access to data to all participants is a real challenge for the public markets. Algorithms, in many respects help to solve this disadvantage. Hi Paul, very interesting article. Is it true you discovered the sweet potato? Could One Tweet Destabilise Markets and the Global Economy?